Shawnakay Sterling-Daley moved to Canada from Jamaica, bringing with her an undergraduate degree in management studies and a desire to see positive changes across government. Many factors contributed to her decision to apply to the Johnson Shoyama Graduate School of Public Policy, though she identifies the rich experiential learning opportunities as having significant influence. As this year’s group of 86 graduands prepare for convocation, we asked Shawnakay Sterling-Daley (Master of Public Administration ’18) about her time with the Johnson Shoyama Graduate School of Public Policy. Here is what Shawnakay had to say. Q: What is your biggest takeaway from the MPA program? Shawnakay: The MPA made me realize that public policy is all around us and is relevant to all aspects of life, be it, health, education, social services, housing, the economy, labour relations, et cetera. The JSGS provided me with the core competencies required for success in public administration and a deeper understanding of public policy. It also taught me that there may not always be an answer to every question and if there is, it will likely evolve over time. As I learned more, I began to view things from different angles and my decisions and analysis of issues changed over time. I learned to assess the effectiveness of public policy changes and the impact it might have on intended users. This I found to be crucial to understanding the basics of public policy. Q: What did you find challenging during your program? Shawnakay: My biggest challenge was, of course, leaving my family behind in Jamaica. At times, I found it hard to focus and complete assignments well. However, the professors were very understanding and accommodating and this helped me to get through a very tough time, especially my first semester. I also found a sense of community and belonging in Saskatoon because people were so friendly and open. Q: Besides an education, what was most valuable to you about your time with the JSGS? Shawnakay: What I value the most are the positive relationships developed with my peers when I began my MPA journey and those that I met along the way. Q: Where were you working during the Executive Internship program? What did you learn? Shawnakay: I worked in the Deputy Minister’s Office at Saskatchewan Ministry of Advanced Education. The internship was an invaluable experience that I would recommend to any student who has the opportunity. In a way, it was like test driving your career as it is a great opportunity that helps you identify the path you want to take. It puts all of the classroom learning into perspective and challenges the theoretical explanations. Q: How have your experiences contributed to your personal and career growth? Shawnakay: The MPA has opened doors to multifaceted career opportunities that can be equally rewarding and satisfying. It has also instilled a sense of social responsibility in me that will help me succeed as I advance in my career. Q: How do you plan to put your knowledge to use and make the world a better place? Shawnakay: After studying public administration, I have come to realize that it is a field of study that is necessary to every generation. This opportunity has helped me to rediscover myself and the knowledge I gained will allow me to help others, through policy. Working in the public sector provides an opportunity for continuous learning and growth. I am excited to combine my passion for helping others and my desire to see positive changes across government. I hope to continue on to a career as a public servant, focusing on social justice, equality, well-being, and people’s rights. Q: What advice would you give to new JSGS students? Shawnakay: I suggest that you make the best of your time at the JSGS, and take advantage of all the opportunities that the school has to offer. There is a wealth of knowledge available, whether that be through formal lecture series and writing workshops or just informal discussions with faculty members in the halls. At the JSGS, the possibilities and opportunities are endless. There is always something fun going on and I recommend taking part in all student activities. Q: What are you looking forward to, after convocation? Shawnakay: I am very excited to celebrate my achievement with family and friends. I look forward to having a moment to reflect and be proud that my hard work has finally paid off, and I can continue to put all I have learned into practice. On June 5, Shawnakay Sterling-Daley will be one of 22 MPA students to graduate from the University of Saskatchewan campus, joined by five Master of Public Policy, three Master of Northern Governance and Development, and 2 Ph.D. in Public Policy graduands. 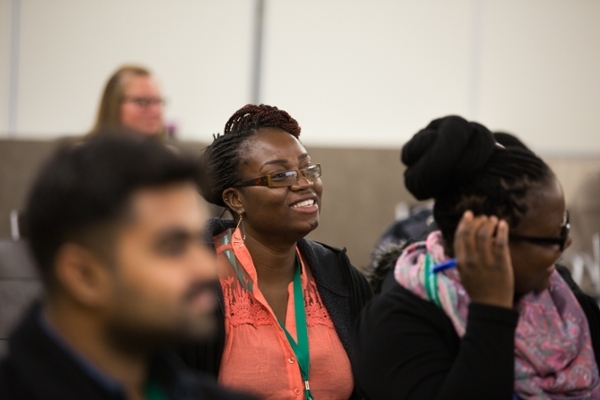 The University of Regina campus will see 20 MPA, 19 Master of Health Administration and 15 Master's Certificate graduands cross the stage the next day, on June 6. These 86 graduates will be joining over 800 JSGS alumni worldwide.